Since November, I have carried around with me a book of no more than 36 pages. I’ve opened it in the standard places: in my office, on my couch, sitting with morning coffee at the kitchen table, but I’ve also found myself touching the pages in the dim-lit hallways of my home during games of hide-and-seek with my daughter. I’ve found myself rereading it in those few minutes before heading into work when I might have normally sat alone in my car and stared into the air. I have carried it with me to the supermarket, to the library, and to bed, this book about a life that refuses to be forgotten. My own poetry pivots around addiction’s grip. The daughter of an alcoholic, I have gotten used to the power of repetition. In many ways, addiction grapples with the desire to return. I return to the same moments over and over again in my poetry. The addict returns to the habit. Those who love the addict get used to feeling the same pain, the same anger, the same aches over and over again. Best Man is as much a learning experience as it is a healing experience. It provides readers with the raw anger often felt by family members, and it illustrates to us the life of an adopted son and beloved brother whose skin never felt like it fit the right way. Through its narrative, readers experience the pain of watching a loved one suffer. 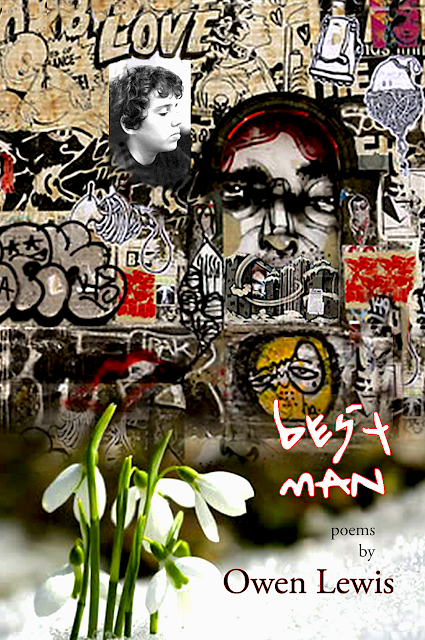 This season, I offer a special focus on Dr. Owen Lewis’s chapbook Best Man, which retells the impact addiction has on human life. The sting of lost brotherhood resonates through Dr. Owen Lewis’s chapbook Best Man. Dedicated to the poet’s late brother, Jason, Best Man maps the stages of grief. The poems throughout the chapbook range in tone from anger to bargaining to acceptance as they trace the bonds of family alongside the cruel junctures of addiction. In another connection to Antigone, this book recalls particular burial traditions, specifically the Jewish tradition of placing a rock on top of a tombstone. There is a long history as to why this is practiced, but in its simplest, most current interpretation, the act of placing the pebble on the gravestone demonstrates to others that someone cares, that someone visits, that someone misses the presence of this someone who is no longer here. or not. Who the hell’s here? The poem balances its pain through sharply phrased quatrains in which the two middle lines uphold end-rhymes. In the above stanza, the cadence of “hear” and “near” undercut the severity of the scene. In another stanza, the description of the pressing Miami air works as a symbol for the way Jason has become washed out. He is described as resembling “a fever, coma / oozing from your eyes, No diploma / needed to read this dark.” The rhyme of “coma” with “diploma” quickens the pace of the stanza. In addition, it tells us that the speaker didn’t actually have to be a doctor to figure out that his brother was suffering. His pain was visible. Addiction was winning. Anyone could see. The scene of “En Route” describes the landscape at Beth Israel Cemetery dotted with different rocks and stones resting on top of limestone and marble, indicators that family and friends have visited. Jason’s grave lacks such ornamentation. The fear that he may be forgotten becomes real. Winter’s dissolve refreshes the speaker’s grief. It is the rebirth of “Mother’s cancer, / father’s failing lungs”, but most of all of “March 12th / at 7:32 pm” and “the scatter of white pills across your bed.” (Lewis 6) The memory of Jason’s death weighs heavy on the speaker’s conscience, whether it is March or not. The scope of Best Man confronts flashbacks of “Percocet, Dexedrine, shopping lists. 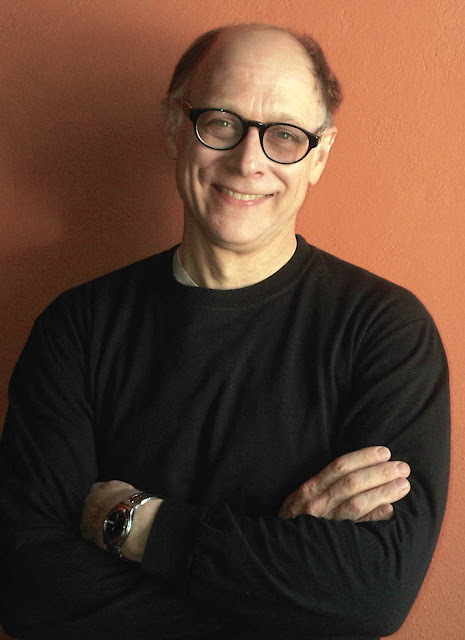 / Benzo’s”, reveals snapshots of stolen prescription pads and frantic calls from the ICU, and offers remnants of tenderness like in “Once”, which begins “upon a time…/ a grandma bought a baby / to a new home, in a baby-blue / afghan she crocheted special”, a poem that details Jason’s start in his new family. Most importantly, it marks the moment our speaker becomes his brother. In the preface to the Best Man, Dr. Lewis acknowledges that his other brother, Arthur, along with his parents, have/had their own stories to tell when it comes to addiction. The New York Times reported that 72,000 Americans died of opioid-related overdoses in 2017. At minimum, that’s 144,000 stories. As the opioid epidemic continues to take hold of entire cities, Best Man acknowledges that we all have our own narratives of addiction, of surviving addiction, of fighting addiction. In honoring the truth of his brother’s life, Dr. Lewis uncovers the stories not of the addicts themselves, but of those who have walked beside them. Best Man begins with anger but ends in acceptance; thematically, the poems which begin the chapbook focus on the tangible stuff of the everyday, while the closing poems look up toward the celestial, take note of birds, and send Jason on flight. When the poems end, readers are left with the final image of two pebbles rested on a gravestone. The image is not through words, but an actual image of the rocks. Extended in poetic elegy, Jason’s memory perpetuates through each reader and each reading. We visit him time and time again. In addition to being a Psychiatrist, Professor at Columbia University, and inductee into the Virginia Apgar Academy of Medical Educators, Dr. Lewis is the author of Marriage Map (Dos Madres Press, 2017), Sometimes Full of Daylight (Dos Madres Press, 2011) and other books. His individual poetry has been published in Nimrod, Poetry Wales, and the International Journal of Epidemiology. He created his multimedia publication, New Pictures at an Exhibition, 1977, with Alexander Broude and composer Seymour Bernstein. Abriana Jetté is the author of the Amazon #1 bestselling women's poetry anthology 50 Whispers. Her newest poetry anthology, Stay Thirsty Poets - Vol. I, was released in February 2019.